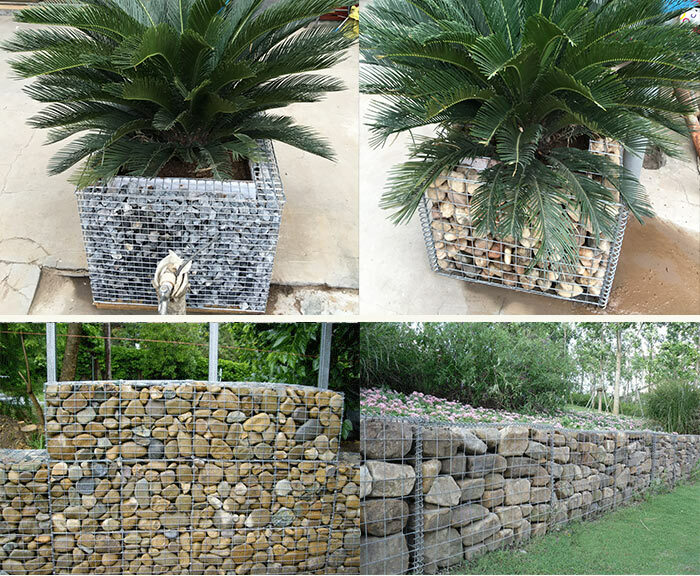 The garden gabion box is used in the flower garden show from the bench to the stained glass bottle to use the rock and mixed moss wall and flashing lights, the use of a creative transformation, it is the functional landscape features of horticulture.A metal cage or case, usually used as a retaining wall or other outside wall, that is filled with rocks or other ordinary soil. 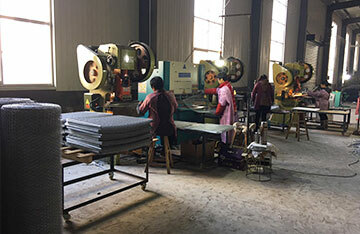 Cage, the stainless steel, galvanized or powder coated steel wire mesh is most commonly used, and then spiral adhesive or loop fastener put them together, form the shape of a rectangle. 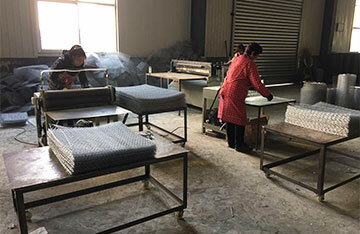 Gabion basket is also called gabion box, it is made from high grade steel wire through twisting and braiding by machine.It can be mainly used in supporting and protecting of side slope and basis pitmountain rock hanging mesh, green guard rail netting on side slope,railway guard rail netting, highway guard rail netting. 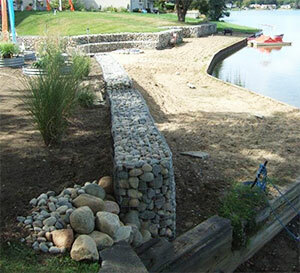 Gabion mesh also can be worked into stone cage or stone cushion, and used in reservoir, river or dyke for closure. 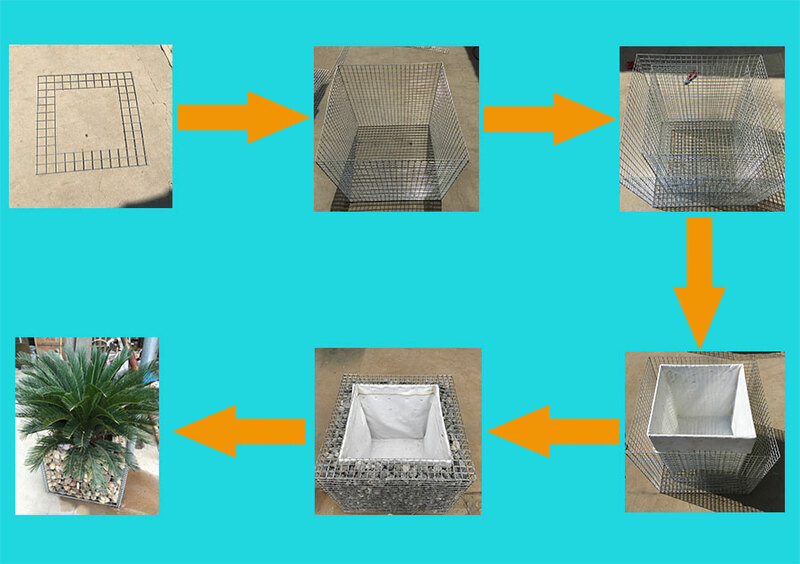 1)Gabion box Material: Low carbon steel wire, stainless steel wire. 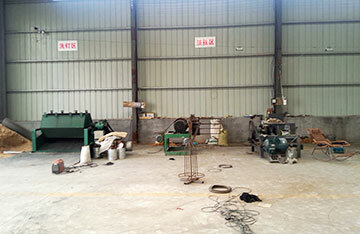 electro galvanized or PVC coated. 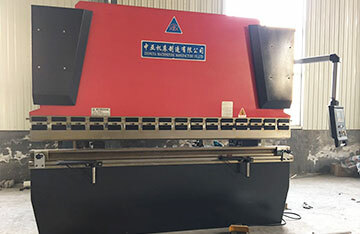 Features: Firm structure, flat surface. 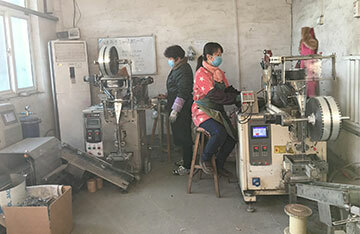 Offering good corrosion resistance and oxidation resistance. 1)Economic. 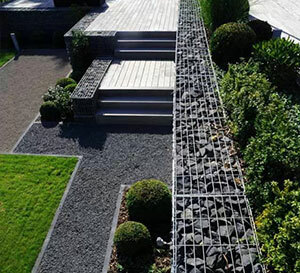 Just put the stone into the gabion and seal. 2)Easily construct, no special technology needed. 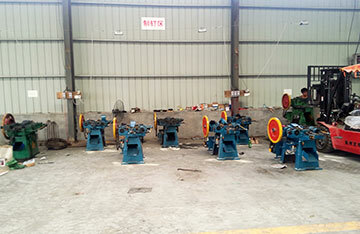 3)Strong capacity of withstand nature destroy, rust-resistance and atrocious weather resistance. 4)Affording Large scale distortion, but never be defeated. 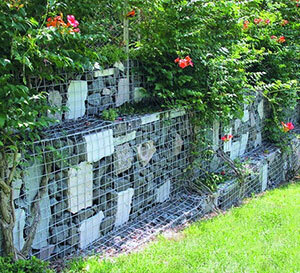 5)The slit between the mesh and stone is good for the growth, which can be the part of the environment around. 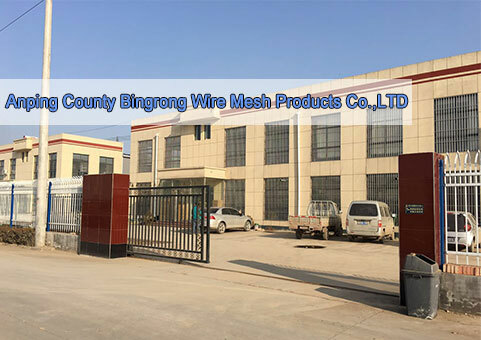 6)Excellent Penetrability, which can prevent from the whist by liquid.